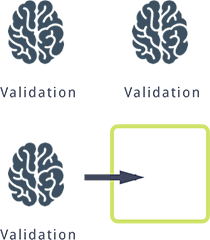 Enterprisemind let’s you setup, train and activate smart A.I. powered agents to perform all kinds of tasks and functions for you in an easy to use interface. Add A.I. agents to perform tasks for you. They can be generic and very specific. You can also add your own custom agents. Artificial Intelligence is data-driven. 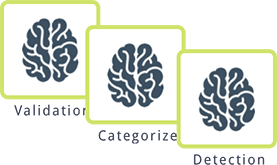 You connect your existing data-sources to the EnterpriseMind platform in order to start processing your data and train your agents. Real-time insights for all your A.I. operations across the platform and your organisation. Designed to provide actionable insights for performance enhancing experiments. We provide pre-trained models that you can use immediately. Additionally you can improve them by training them on your data of add your own models (on request). 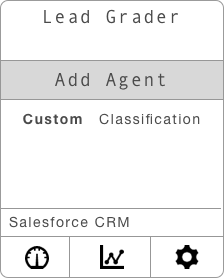 Query your agents right on the platform or access them for production use using the API. This way you can quickly integrate and use the new insights and models inside your organisation and applications. Artificial Intelligence is powerful technology but can be so abstract that it becomes hard to apply in everyday scenarios without turning each use case into a complex project and custom code. 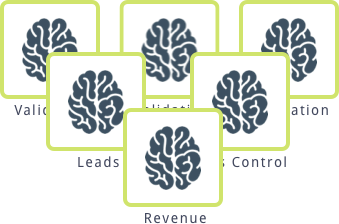 Enterprisemind is designed to bind the ingredients together: backend A.I. technologies, trained models, your data sources and configured A.I. agents for production use. artificial intelligence. It’s that powerful.